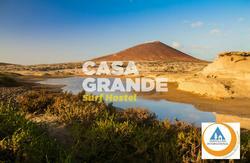 Located at 50 meters from the beach Los Cristianos, Sea Dive Hostel Alive has a wonderful views. It also offers free Wi-Fi throughout all the facilities and its staff will help you in everything you need. The hostel has a rooftop terrace withchill out and the best views of the beach where you can enjoy a good barbecue with your new friends on the Hostel. 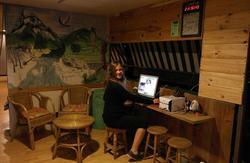 Sea Hostel Dive Alive Hostel offers an extensive facilities in an exclusive location. 200 m2 in front of the sea that give hospitality to 32 people , so your stay will be very familiar and friendly with the other guests and residents. To get it you have 2 tracks. If you come by walking, come to Avenida MarÃ­tima, No. 7, next to the beach of Los Cristianos. Like references you have The Church of Sweden, the Guru Bar, or the dive center Ocean Dreams Tenerife. If you go by car, you can reach by Coronel Street, No. 8, by reference to the Hotel Princesa DÃ¡cil or dive center Ocean Dreams Tenerife.